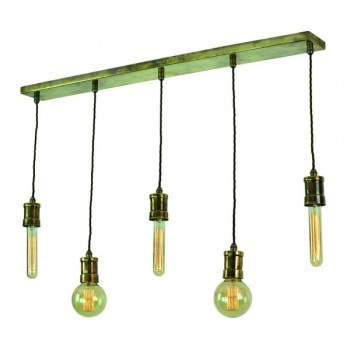 Description: Tommy 5 Light Pendant solid brass shown in Antique Brass and Polished Nickel finishes. Note height to be set on installation then fixed). Shown with 3 x LB2 & 2 x LB3 lamp NOTE: (Supplied Complete with 5 x LB3 as standard).